All bookings made via our online booking system are provisional until confirmed by Yurtcamp. 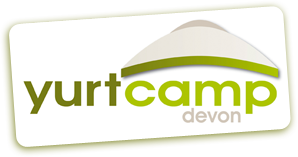 To secure your booking a non-refundable deposit of £150 per Yurt per stay is required. If the booking is for a stay (not a wedding, celebratory, or corporate event) more than 9 months in the future a £75 per Yurt per stay deposit is acceptable. All balance payments are due to be paid in full no later than 40 days before arrival. If your holiday start date is within 40 days full payment is required. You will receive confirmation / invoice online of your reservation. If the cancellation is more than six weeks before arrival and the balance has not been paid, the deposit will not be refunded. Alternatively the deposit can be off-set against a holiday to be taken at a different date later in the year or rolled over to the following year, subject to availability and a £25 handling charge per yurt booked. If the cancellation is more than six weeks before arrival and the balance has been paid then the total cost of the holiday will be refunded, less a handling charge of £25 per yurt booked, only if the booking is able to be re-let. If the booking cannot be re-let the cost will be refunded less a £50 handling charge per yurt booked. Alternatively the cost of the holiday can be off-set against a holiday to be taken at a different date, subject to availability and a handling charge of £25 per yurt booked, later in the year or rolled over to the following year. Cancellation of weddings, celebratory and corporate bookings. Bookings are secured by a £1000 deposit payment. Balance payments are made in periodic installments with the final payment (including site hire and food and drink) due 4 weeks before the booking date. Installments not made within 14 days of the due date will result in the booking being cancelled with no refund of payments made. No refund will be made for cancellations made within 12 months of the arrival date except in exceptional circumstances and by agreement and arrangement with the owners. Cancellations made with more than 12 months to the arrival date will result in all payments in excess of the £1000 deposit being refunded. Whilst every effort will be made to avoid them, booking errors made by Yurtcamp will not in any circumstances be compensated for unless there is less than 3 months until the booking dates commence. Whilst we will always endeavour to allocate specifically requested yurt positions, we are unable to guarantee them. Please remember you are staying in a woodland camping environment with live animals and other hazards. Some of the camp equipment can be dangerous if misused. Please be aware that accidents can happen and we are not responsible for such accidents ( to the greatest extent permitted by law). It is your responsibility to ensure you supervise any children with you. We ask visitors to arrive between 3pm and 8pm on arrival days, and ask that you please contact the reception office if you are substantially delayed ie more than one hour behind the notified arrival time. Visitors who arrive much later must be prepared not to be greeted at the site, but you will receive instructions on how to reach your Yurt. The hirer is responsible for the contents of the yurt whilst in their possession. All damages/breakages must be reported and paid for. All accommodation and equipment to be left in a clean and tidy condition. The accommodation to be used only by those persons booked. We disclaim any liability for losses or injury sustained by guests or their property except where negligence on the part of ourselves or our staff is proven. Fire safety instructions must be followed and the fireguard used at all times. Firewood must not be taken from living trees and hedges on the site. We reserve the right to terminate any holiday or request any person(s) to leave for the breach of the above conditions or site guidelines. You are responsible for the behaviour of all members of your party. Behaviour should be in keeping with the family environment and should not be excessive, noisy or disruptive, especially at night. Offensive or illegal behaviour will not be tolerated and may result in the police being involved. Offensive or aggressive behaviour or language towards our staff is not acceptable. We may ask you and/or any member of your party to leave immediately if your conduct results in police attendance or is considered by us to be inappropriate; likely to cause harm; or impair the enjoyment, comfort or safety of anyone; or is likely, in our belief, to breach any of this agreement. No refunds or compensation will be given in these circumstances and we reserve the right not to accept any future bookings from you or any member of your party. By booking you agree that we have the right either during or after your stay to recover from you, whether via the credit/charge or debit card used to pay for the break or otherwise, the costs of: any property or accommodation damage, and/or any compensation we may pay to others, and/or any other costs, fees or levies which we may incur. No shotgun, knife, firearm, air weapon, archery equipment, fireworks, illegal substances or similar item may be brought into Yurtcamp under any circumstances by you or anyone in your party. We shall not serve or sell alcohol to anyone who is, or appears to be, under the age of 18 (and cannot prove they are over 18), or whom we, in our sole discretion, consider to have been drinking excessively. We will accept a photo driving licence, a passport or a proof of age scheme which carries the PASS logo hologram. Your personal belongings are your responsibility during your break with us. Vehicles are parked on our property entirely at your own risk. You must lock your vehicle securely and remove all valuable items on parking. All bookings are from 3.00pm on the day of arrival until 10am on day of departure. The hirer is responsible for the contents of the yurt during the reservation period. All damages/breakages must be reported and paid for. The accommodation and its equipment are to be left in a clean and tidy condition. The accommodation is only to be used by those persons booked in. We disclaim any liability for losses or injury sustained by guests or their property except where negligence on the part of Yurtcamp is proven. Fire safety instructions must be followed and the fireguard used at all times. Firewood must not be taken from living trees and hedges on the site. We reserve the right to terminate any holiday or request anyone to leave for the breach of any of our conditions or site guidelines.